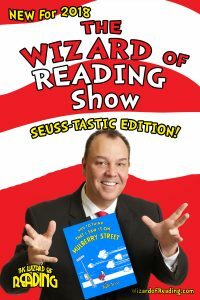 For over 20 years now, Dean Alan has been presenting a shows about the books and stories of Dr. Seuss to kids all over the Mid-Atlantic Region. His show has been extremely popular. This is the best Dr. Seuss Reading Show for Read Across America Week and dates near Dr. Seuss’s birthday. It’s also a fantastic show for anytime of year!!! In February 2019, Dean will debut the new Wizard of Reading Seuss show Seuss-tastic Edition! But if you can’t wait till February and still want a show about Dr. Seues, Dean can present any of the older versions of the show the rest of the year so you can have Seuss at anytime. All of the Seuss shows are suited to kids of all ages. All in all, they are fantastic shows to get everyone charged up about reading! And audiences will learn wonderful trivia facts about how the stories were created and watch as some of the stories come to life through magic! Dates will go quickly for this fabulous Dr. Seuss themed Reading Show! 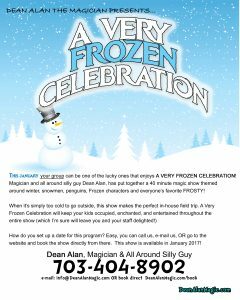 The Very Frozen Magic show is a very fun and festive show to close out the year or start the new year. Filled with magic that uses Frosty, Penguins, Frozen characters and even a modern classic like Snowmen at Night. 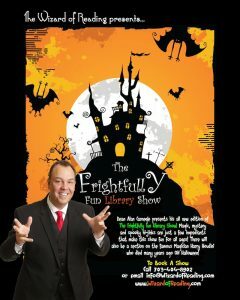 You’ll love the magic and enjoy the stories in this charming winter magic show. I’ve created an e-Promo Kit which is filled with additional information on all my shows as well as pricing information. Simply fill out the form to the right and you’ll receive and email with a link to my e-promo kit for libraries. If you’d prefer the old fashioned way, you are welcome to call. I’d love to hear from you!